Royal Mail's new and improved Mailmark franking could help save your business time and money. Can and should you upgrade today? Royal Mail’s Mailmark franking service came as a result of the letters and parcels delivery company transforming its business services with a £70m investment in 2014. For many businesses, this service has helped to improve customer relations and mail tracking, while also providing opportunities for new products and services. The investment also financed an overhaul the existing mail tariff, which the Royal Mail claims offers businesses better value across the UK. This page will give you all the information you need to decide whether upgrading to Royal Mail Mailmark franking will benefit your business. Should my business upgrade to Royal Mail Mailmark? What is Mailmark? And is it the right fit for your business? What are the advantages of using Royal Mail’s Mailmark? How will your business save money and time? While many readers will be aware of franking, some may not – if this applies to you, feel free to read our guide on franking machines for small businesses. Learn the benefits of franking your mail and how it can save your business both time and money. Mailmark is essentially a new and improved franking mark from Royal Mail. It follows the previous traditional ‘crown and die’ (CBC) barcode with a machine readable 2D version. On the whole, franking allows businesses to take advantage of lower prices than conventional postage. It also helps to save time, and add a professional touch to your mail, with added information on your post’s delivery and online reporting on the quality of your address data. Save on costs You can significantly reduce postage costs – a franked 1st class letter costs just 57p, saving over 10% on regular, non-business postage. Time saving Even the most basic franking machines will help you to save time – printing in-house means fewer trips to the Post Office, and it is much quicker than applying postage manually. Easier to track postage spend You can upload credit to the machine when needed, and keep track of usage throughout your business in order to monitor and help understand your spend across departments. Royal Mail’s Mailmark franking has been around since the start of 2014. Visibly, the key difference is that a readable 2D barcode has replaced the standard franking impression. This new barcode contains lots of information that is used by both you and the Royal Mail to improve your postage, with detailed updates and data on your potential customers and mailing list. This is then featured alongside the ‘delivered by Royal Mail’ branding and a new visual identifier, showing the class of the mail and the format. Your business can still add a return address and company logo or slogan on the envelope in order to effectively market your brand to potential clients and customers. The key factor here is that your business will be able to automatically take advantage of the lowest postal tariff available, at all times. This is due to the fact that the Mailmark franking stamps are more efficiently processed by Royal Mail, meaning the savings can be passed onto you. While Mailmark was designed for larger postage volumes, smaller businesses can and should benefit from it. Another excellent reason to upgrade to Mailmark franking is Mailmark Pre-Pay Reply. Only available with Mailmark franking, Pre-Pay Reply will make it easier for your customers to respond (and more quickly), by giving them a simple way to reply without having to pay. It can do this while improving the experience your customer recieves, as they will not have to pay return postage costs. For letters up to and including 100g, Pre-Pay Reply 1st class is 55p, 2nd class 38p. For large letters up to and including 100g, Pre-Pay Reply 1st class is 85p, 2nd class 65p. Do not worry if you do not have a machine yet – read the following section for more information on how you can get set up right away. Most franking machines purchased before 2014 are unlikely to support Mailmark, so it is worth checking this yourself, or with your supplier. 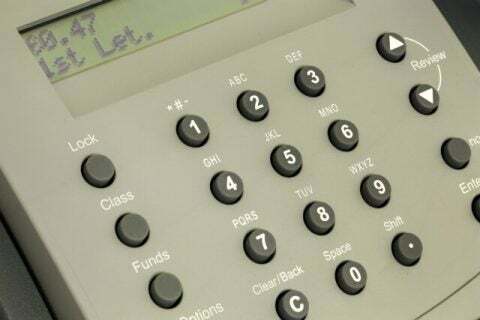 If you are yet to purchase a franking machine – visit our page on the various franking machine prices for advice on which features you should look out for when selecting the right product for your business. Make sure to check whether the machine is Mailmark compatible. For some businesses, purchasing a brand-new machine may be too much of an outlay at this point. If this is the case, consider renting a franking machine – our page on franking machine rentals will have all of the information you need, and again – if you need more information on franking overall, visit our guide to franking machines. If your business already has a franking machine, find out whether a simple software update will make it Mailmark compatible. *Minimum volumes for Unsorted Wholesale mail are n/a. For more information on minimum requirements, take a look at Royal Mail’s Mailmark technical handbook. *Prices correct as of January 2018. This following table shows costs* for international franking using Royal Mail’s Mailmark service – again with standard franking prices for comparison. There will be other costs involved with your machine, other than the Mailmark service, so it is worth bearing this in mind when making your decision. These additional costs include parts and supplies, for example printing cartridges, as well as maintenance and repair. Some suppliers may include these in a rental or lease agreement, which may work out cheaper for your business. In any case, it is worth making sure. To do so, fill out the form at the top of the page with details on what your requirements are. You will then be put in touch will several chosen suppliers who can give you more information that is specific to your needs. By doing so, you will be able to find a solution for you and your business. 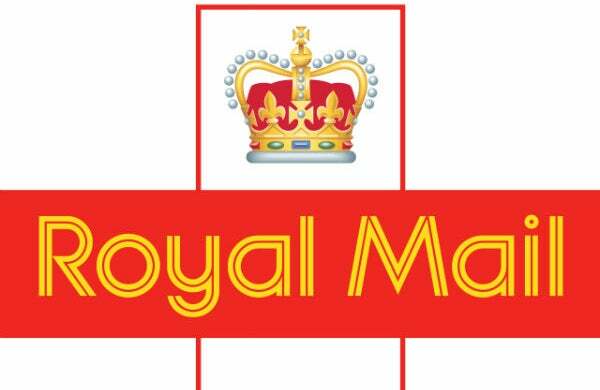 Hopefully, this page has given you all of the information you need about Royal Mail’s Mailmark service. If you would like to find out more information about how franking and Mailmark franking can save your business money, fill in the form on the top and bottom of the page. In doing so, you will be put in contact with several bespoke, trusted suppliers to discuss your needs in more detail. Compare Franking Machine Prices & Save Up To 40%! For more information on franking, feel free to visit one of our other pages, or fill in the above to be contacted by several providers.